This reinforced plastic, Swiss made caliper measures 4 ways; inside, outside, depth and step readings. The easy to read color coded dial is graduated in .01 and 64ths with inch and mm on the bar scale. 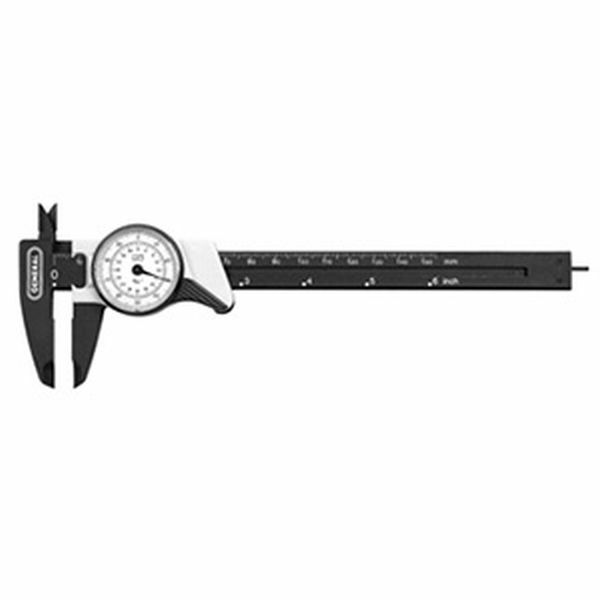 Caliper measures 0 to 5" and is 8-1/2" long.